Today is a prep day in the kitchen. 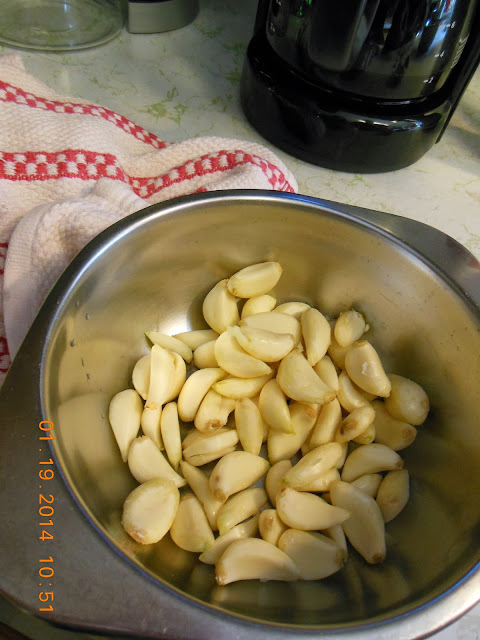 We have caramelized onions in the slow cooker, a pan of small diced potatoes simmering for potato water to keep on hand for sourdough starter and baking and we have several heads of garlic to do something with. 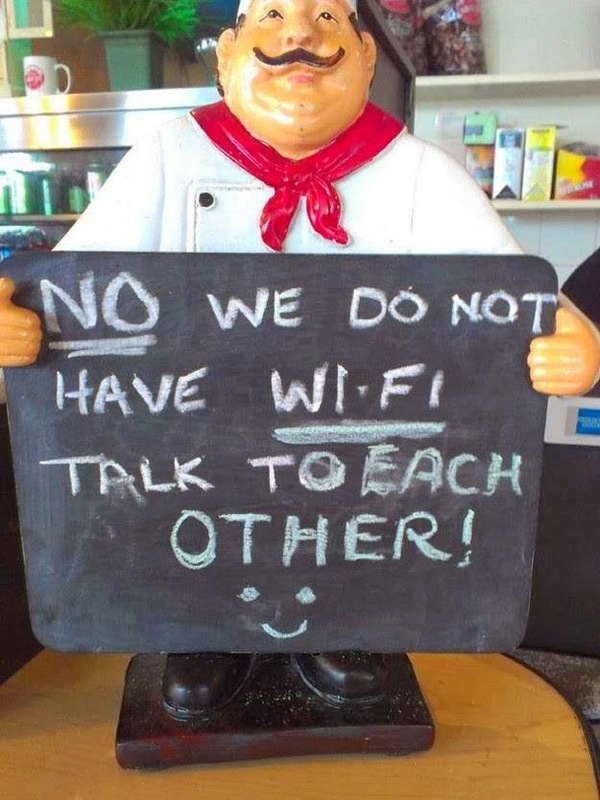 Frequently we have friends and family share food. 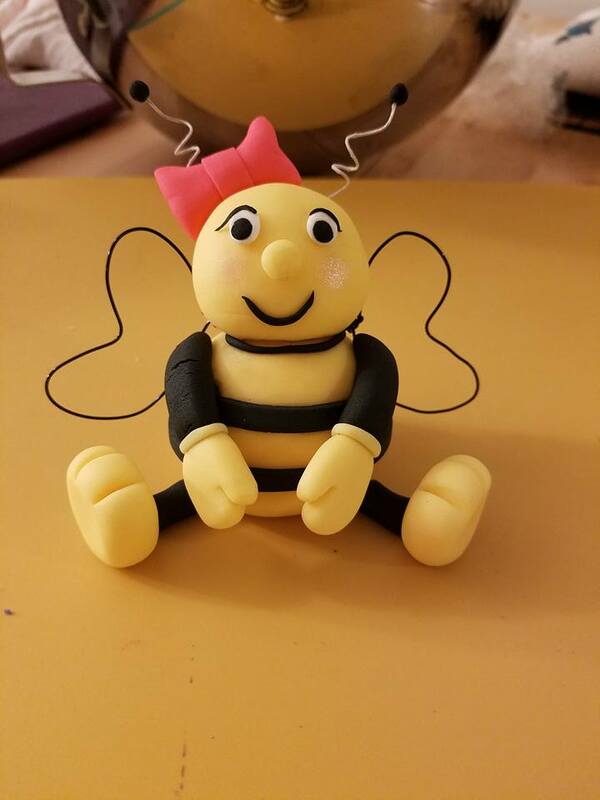 This could be from their gardens or possibly from their own friends and family. 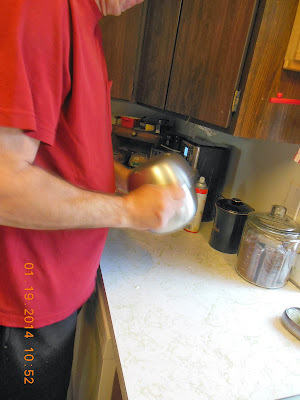 But no matter, we always say yes, because there is always a preserving method that will work. 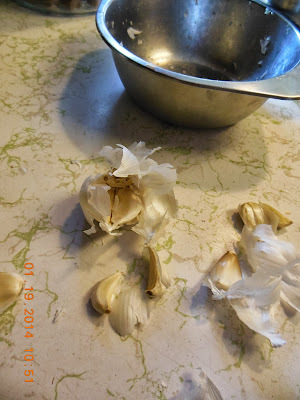 We love garlic in this house. We hate peeling garlic in this house. However I did view this video, and today was going to be our day to give this method a try. Break the head apart by applying pressure. Place the individual cloves into a bowl. 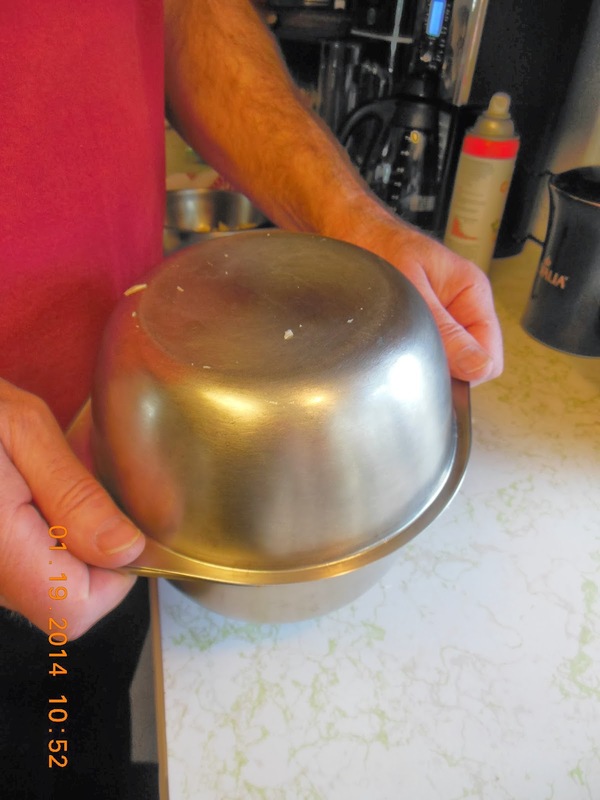 Cover with a second bowl, and hold tight. Pick the peeled garlic out of the bowl. 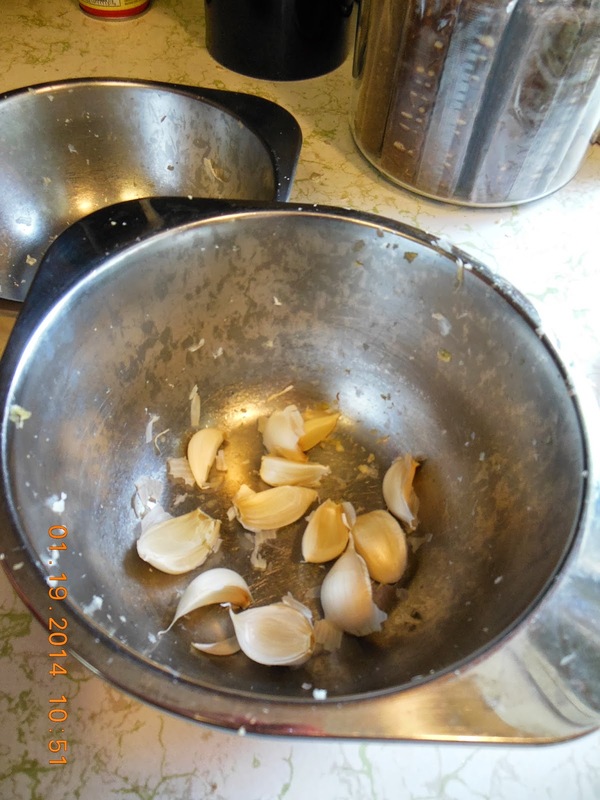 Easy method for peeling garlic. 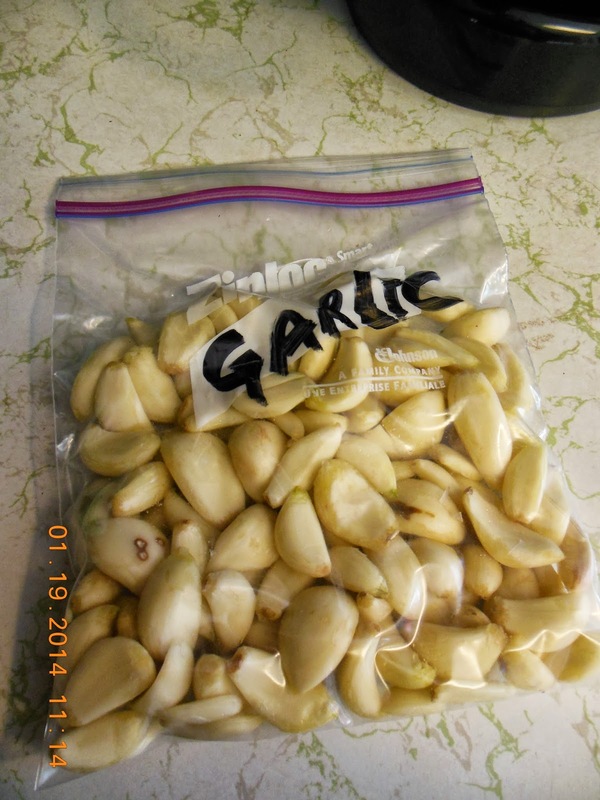 We had 8 heads of garlic to process. Label and freeze for future cooking. 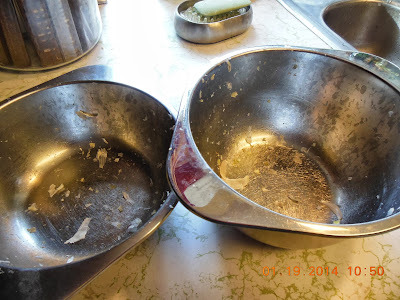 We will use this method again, so easy and only one cleanup! It's hard to believe this works, but I see the proof right there! 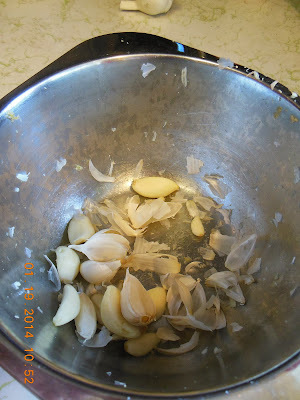 I recently peeled a head of garlic by using the dip into boiling water, then plunging into cold water method. Next time, I'm using your method. Thanks for sharing.